This is in wonderful condition and as I bought it from a collector. The bell set was originally made in 1933 as a No1 and was then upgraded to a No41 in 1958. This model is not able to be used now and so it has been converted back to a No1 configuration. 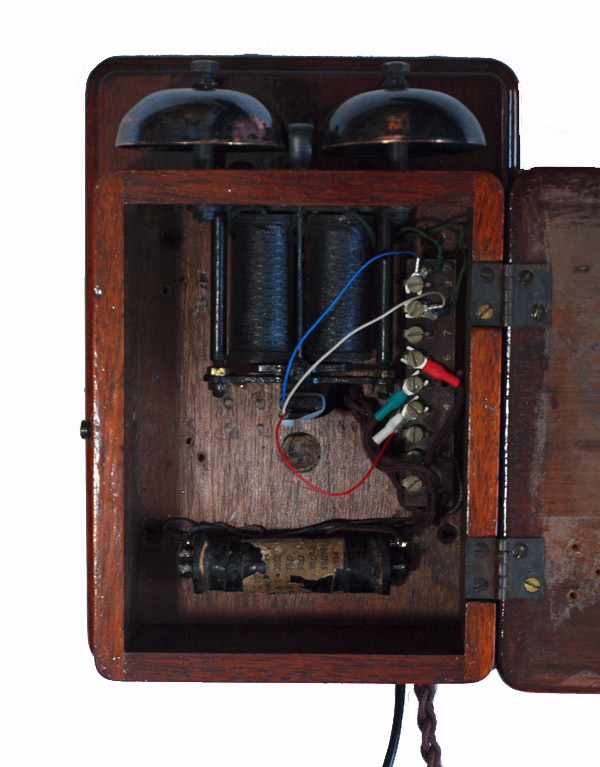 The bell set has been stripped and varnished to show off the mahogany and wired up correctly to the Candlestick telephone to allow it to be used on the modern system to both dial out and receive perfectly. 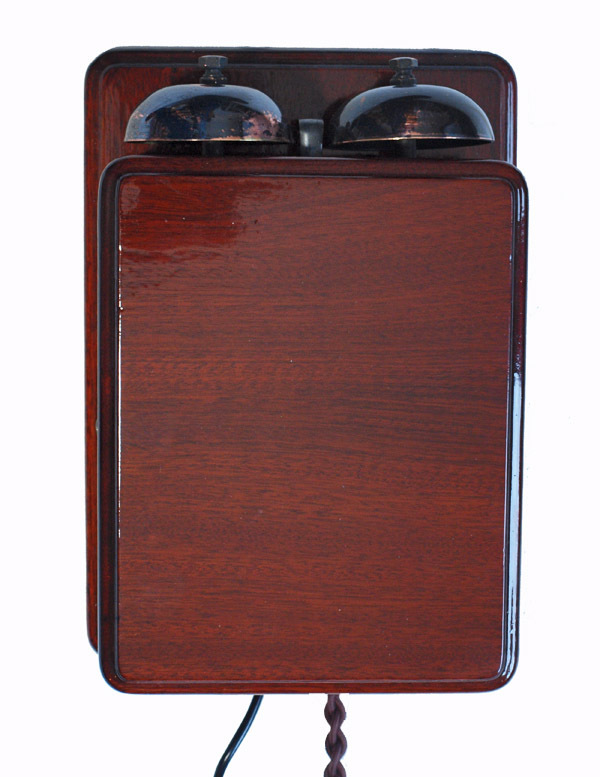 It is fitted with an electronic microphone to bring the speech quality up to modern standards and the bell set has a GPO specification round plastic line in cord with a UK telephone plug socket fitting. This will simply plug into your socket and go. I can make a dial label with your details at no extra charge. 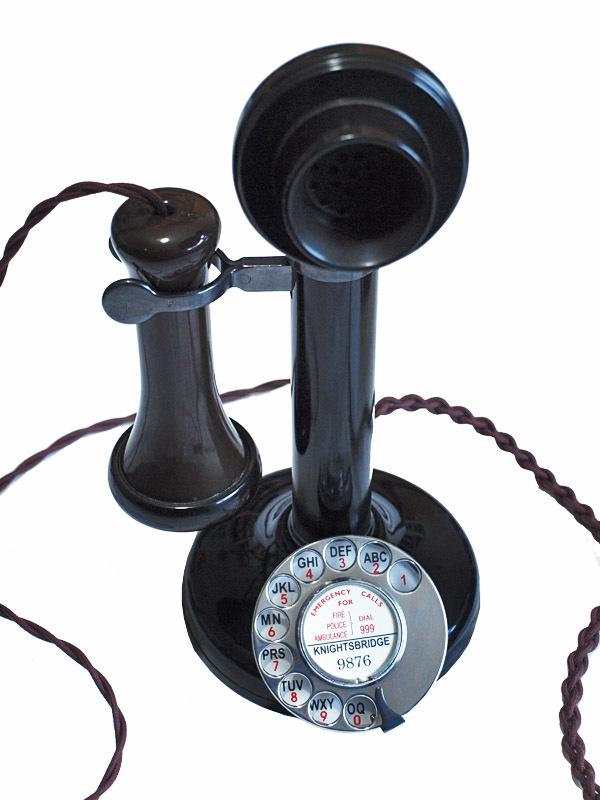 These telephones and bell sets take an age to do properly and so I only usually get around three done in a year.